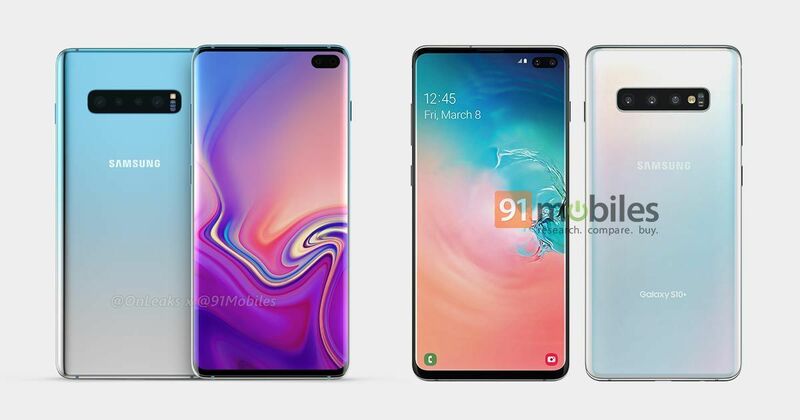 The soon-to-launch Galaxy S10 series will have a number of new features, some of which have been teased by Samsung officially. Those include an OIS-enabled selfie shooter, reverse wireless charging, and a very first on-screen fingerprint reader. But wait, aren’t on-screen fingerprint readers already on many OPPO and Vivo smartphones? Yes, they are, but this isn’t the regular on-screen fingerprint readers we’ve been seeing recently. Samsung’s premium phones will have an ultrasonic sensor that has higher accuracy. And apparently, the ultrasonic in-display fingerprint sensor of Galaxy S10 series doesn’t play nice with screen protectors, a new leaked video has revealed today. The current crop of optical sensors work well with screen protectors but it seems ultra-sonic sensors won’t work with them and there will be a very weird hole in the centre of the screen protectors on the Galaxy S10 and Galaxy S10+. The Galaxy S10e, thankfully, will be immune to this as it carries a side-mounted fingerprint reader embedded in the power button. This will be the first time an ultrasonic fingerprint reader is showcased for consumers and it will be interesting to see how it stacks up against the competition, especially in terms of accuracy. In the past too there have been reports about the ultrasonic in-display fingerprint sensor not working well with screen protectors. In fact, an accessories maker has confirmed its cases for the handset will not come bundled with a screen protector. An anonymous Samsung employee revealed on Reddit that Galaxy S10 buyers will be able to increase the display sensitivity in settings, but it is not clear whether that will help with screen protectors. Typing on a phone with screen protector with a hole in the middle will not be a great user experience or keyboards will have to be tweaked in order to ensure users don’t end up tapping on the grooved portions. As far as other specifications are concerned, details leaked online from a Samsung insider a couple of days back reveal almost everything about the upcoming trio. The three Galaxy S10 models will come in Prism White, Prism Green, and Prism Black colour options. We reported exclusively that the starting price for the Galaxy S10e will be Rs 50,000, with other models going all the way up to Rs 1,00,000. Samsung will also likely debut new Galaxy Buds alongside the smartphones as well as a smartwatch.